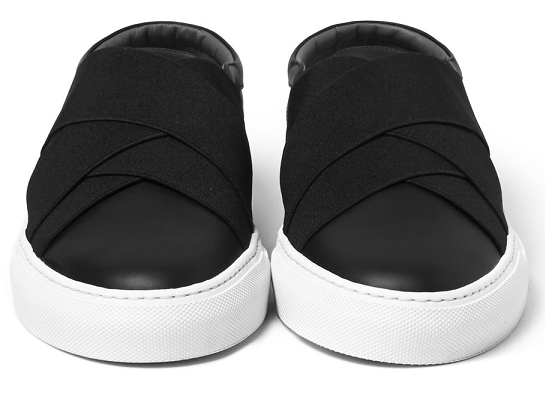 Inject luxury into your downtime attire with these slip-on sneakers from Givenchy. Team with black cuffed jogging bottoms and a crew neck t-shirt to create an outfit. Mr Porter, £395.